I have this vision for the future on my dishware. I mean right now it's pretty minimal and white and yes... ikea. But i have this picture of the most perfect version of my future place settings. 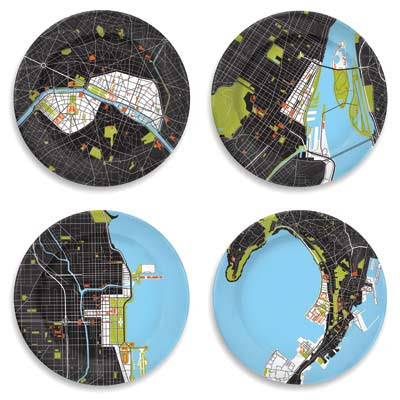 Of course... Why pick only one kind of plate for your kitchen. There are so many pretty designs to choose from so why only pick one! So 2010 is all about a new mission. 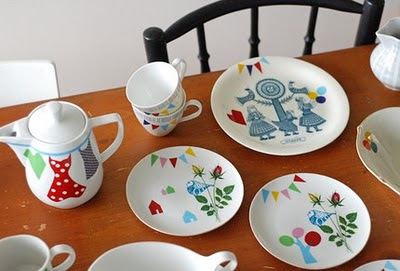 Start to build my cutesy-wootsey, mix-and-match, vintage-meets-contemporary dishware! Frank treated me to these amazing "paint by number" inspired plates from Anthropologie last christmas. I think I'll be driving out to some fun antique stores this weekend to add some new pieces to the collection! 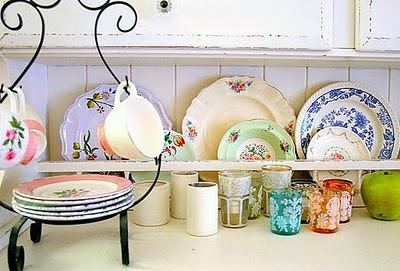 I'm feeling excitement of the scouring... the collecting... the adventure in dishware! January 15, 2010 by Hey There!